Chanteuse Country canadienne, née en 1939 à Minto (New Brunswick). 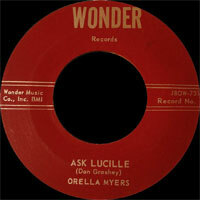 Orella Myers a enregistré chez Wonder et Zero Records. 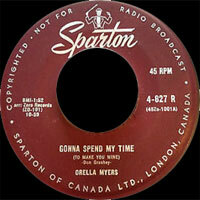 Canadian Country singer born in 1939 in Minto (New Brunswick). 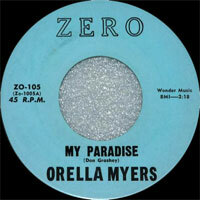 Orella Myers recorded at Wonder and Zero Records.